Kindly note that the combination code is not changeable. Heavy Duty Bike Bicycle Steel Spiral Cable Lock. 4 Digit Combination Security Lock (Not Changeable or Re settable). Provides Extra Security for Bike and Bicycles, Gates, Luggage etc. 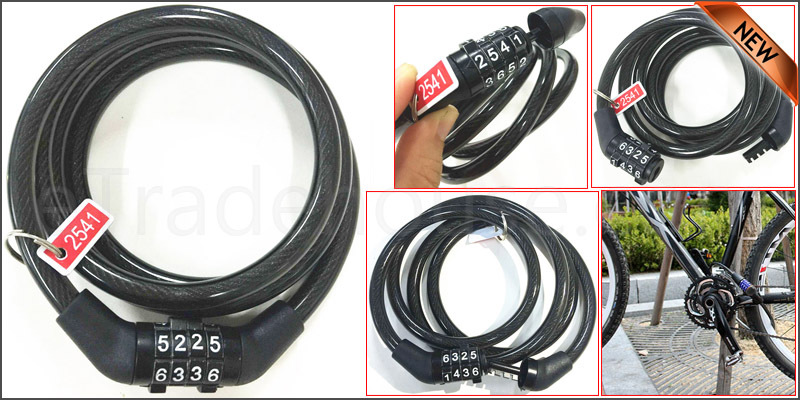 1x 8mm Bicycle Combination Security Lock.